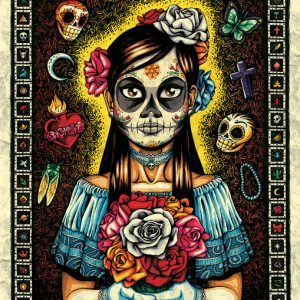 The Day of the Dead is a traditional Mexican holiday (November 1 & 2) commemorating the lives of deceased loved ones. 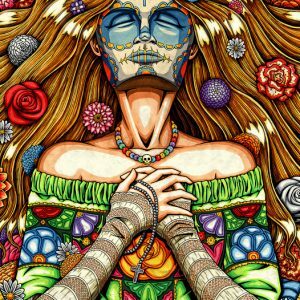 It is a day for remembering the lives of lost family and friends through festive and colorful rituals. 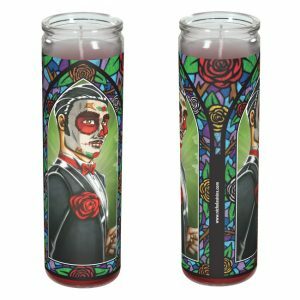 Shrines are created and decorated with photos and trinkets of a person’s life, in addition to bread, flowers, and candles. 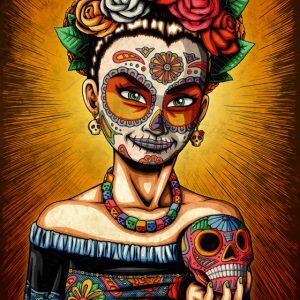 One of the most enduring visual symbols of the holiday are sugar skulls—small, candy-like creations of brightly colored decorated skulls. 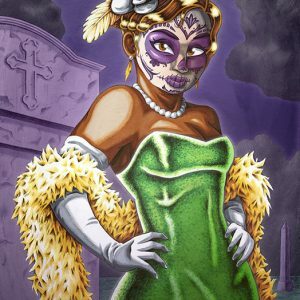 Skeletons and skulls are featured prominently in Day of the Dead imagery, and many people paint their faces and dress up as living, walking sugar skulls. 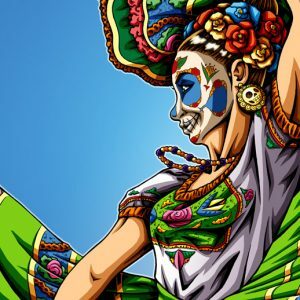 Festivals, ceremonies, and parades are held throughout Latin America and the Southwest United States. 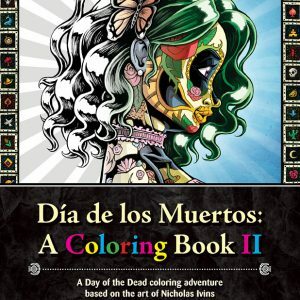 Day of the Dead is one of Nicholas Ivins’ favorite subject matters and he finds its joyful, colorful, and celebrations uplifting. 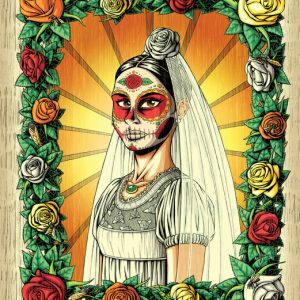 Nick is attracted to Day of the Dead’s lush pageantry and its deep cultural and spiritual symbolism. 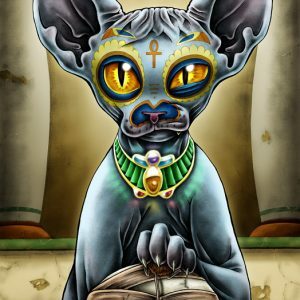 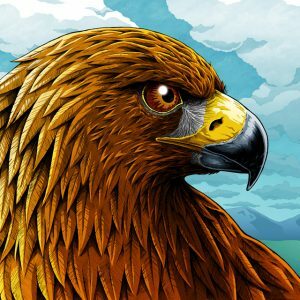 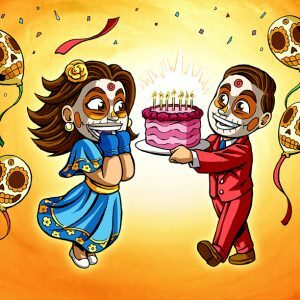 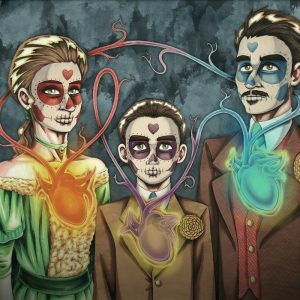 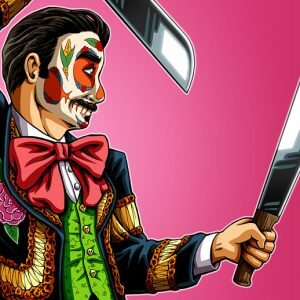 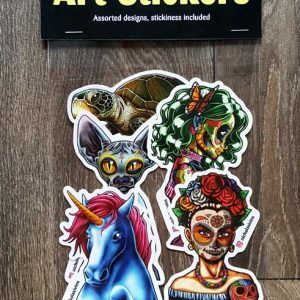 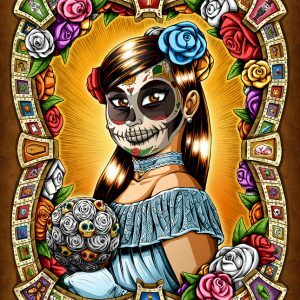 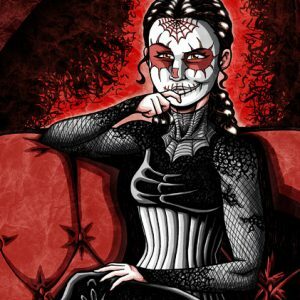 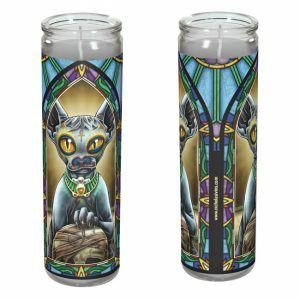 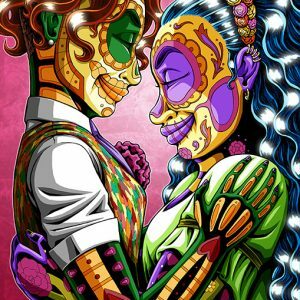 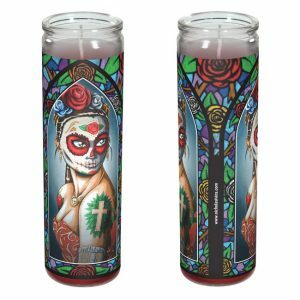 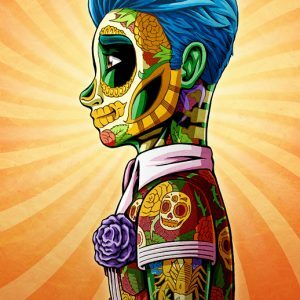 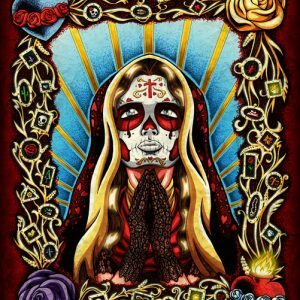 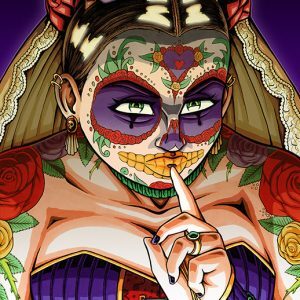 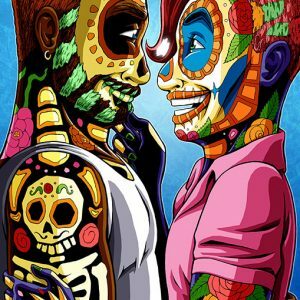 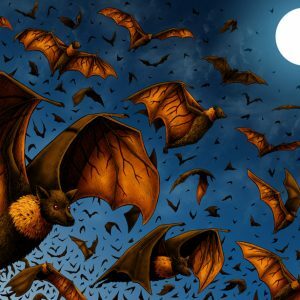 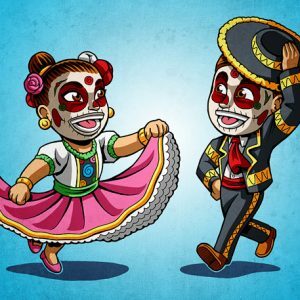 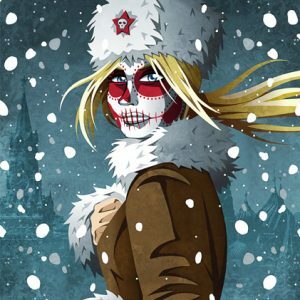 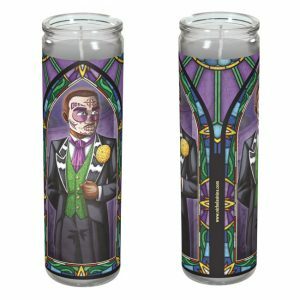 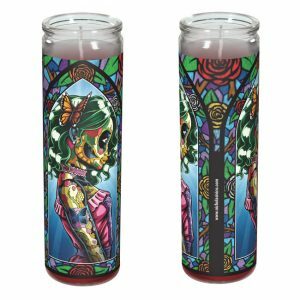 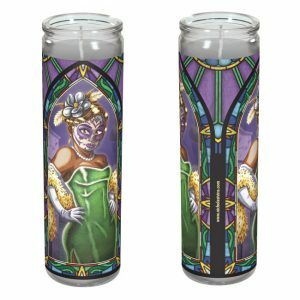 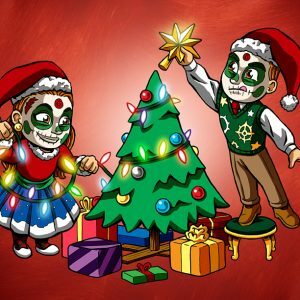 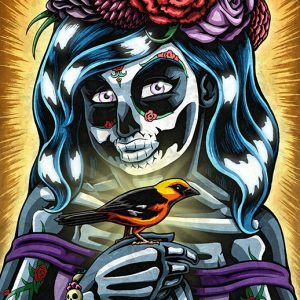 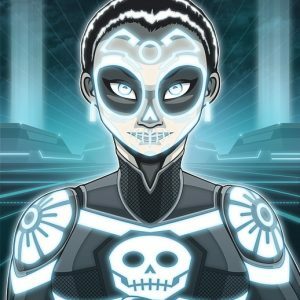 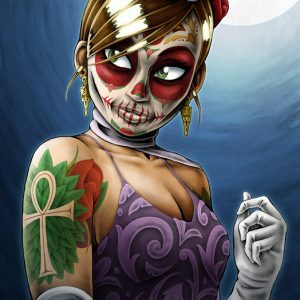 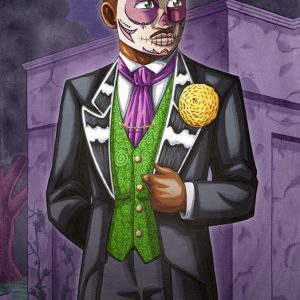 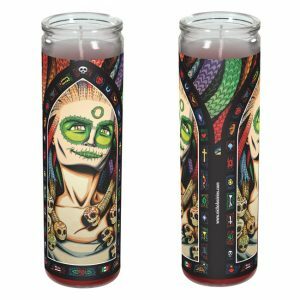 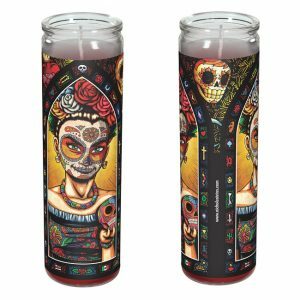 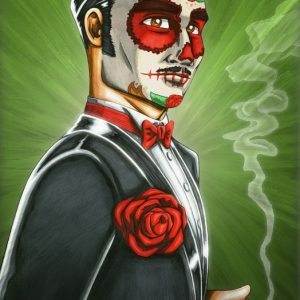 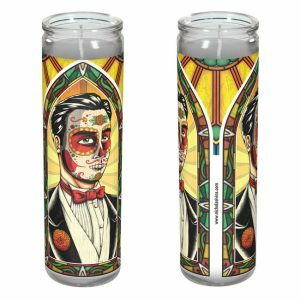 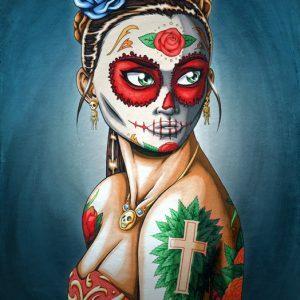 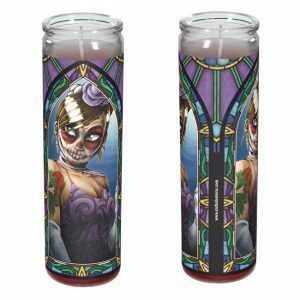 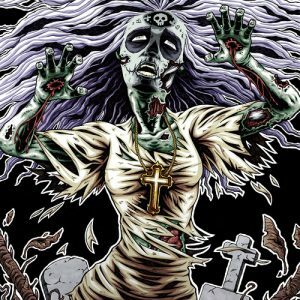 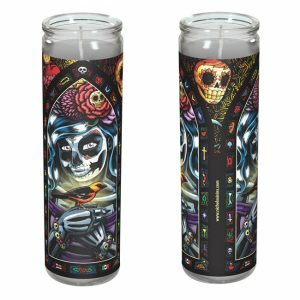 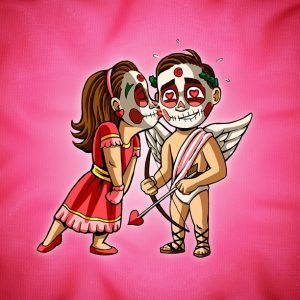 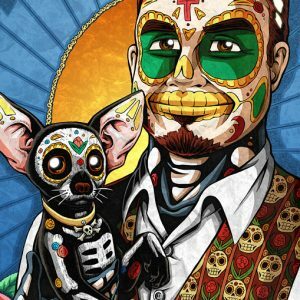 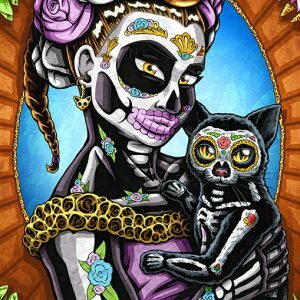 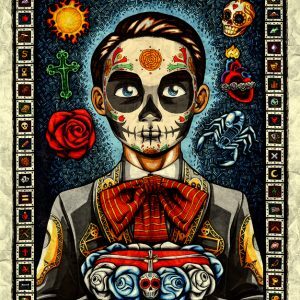 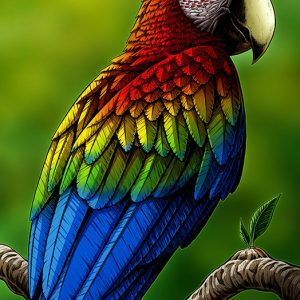 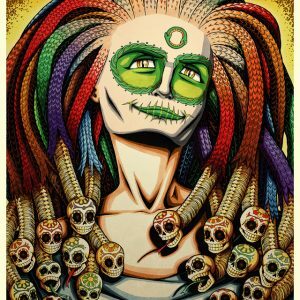 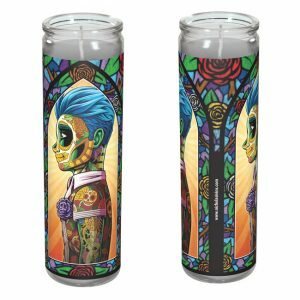 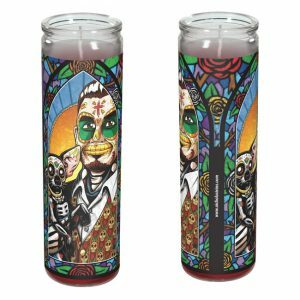 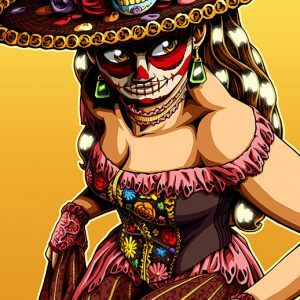 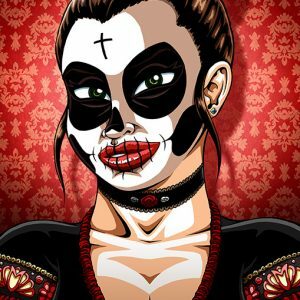 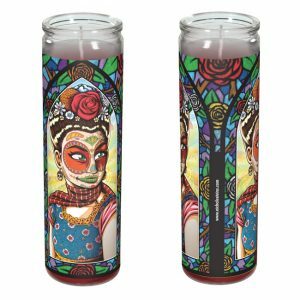 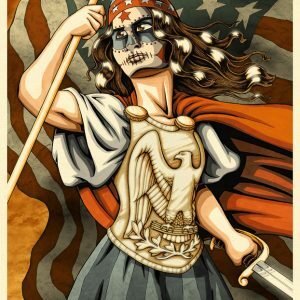 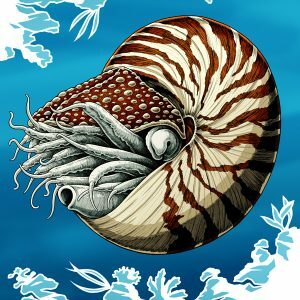 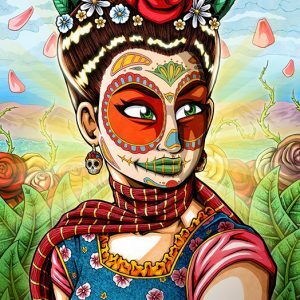 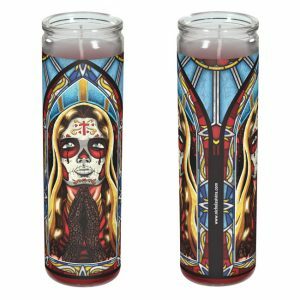 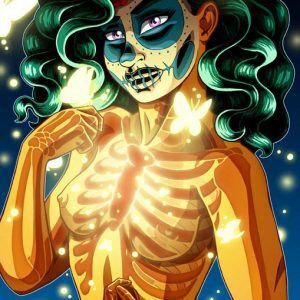 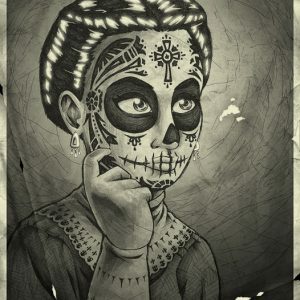 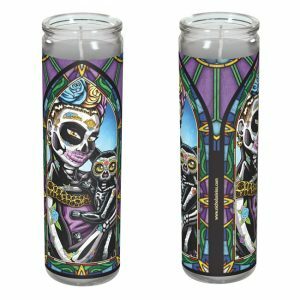 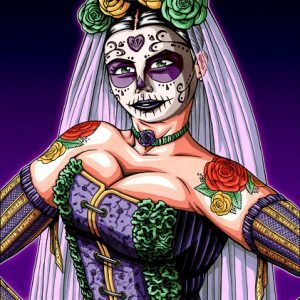 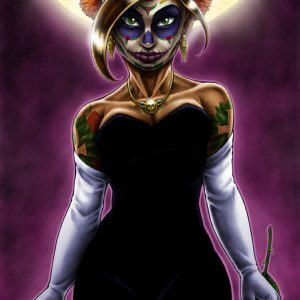 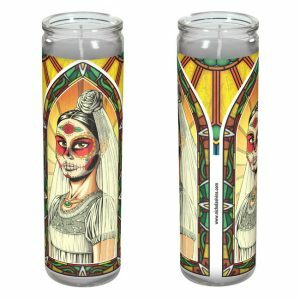 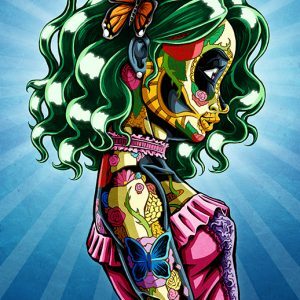 His art focuses on flesh-and-blood people who celebrate Day of the Dead and their unique personalities. 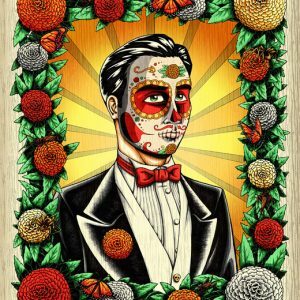 He enjoys imbuing his detailed portraits of colorful and flamboyant figures with suggested lives and histories that often remind viewers of the people from their own lives. 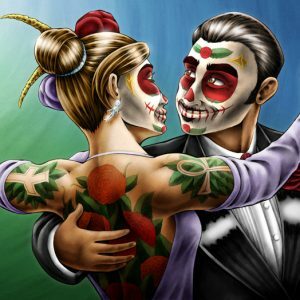 Day of the Dead is a celebration of life and a lovely way to cherish the memories of those no longer with us. 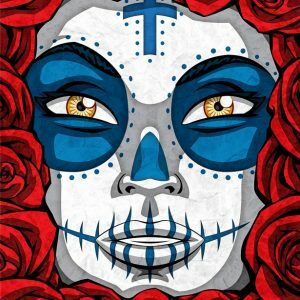 Although separated by the eternal divide, once a year the dead can come back to life and join with the living in bright cheer and colorful festivities.